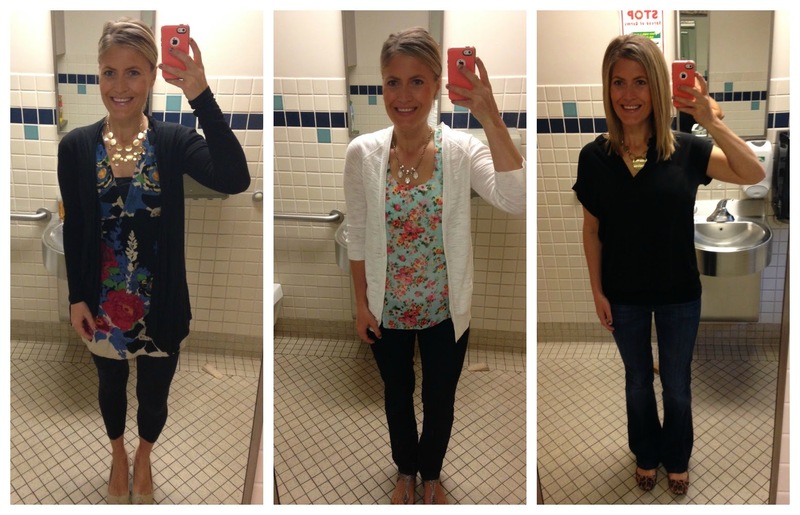 It's crazy to think that the 21-day spring fashion challenge has come to an end. Alison at Get Your Pretty On, is pretty darn amazing and has a way of inspiring others to go outside of their comfort zone, on a daily basis. 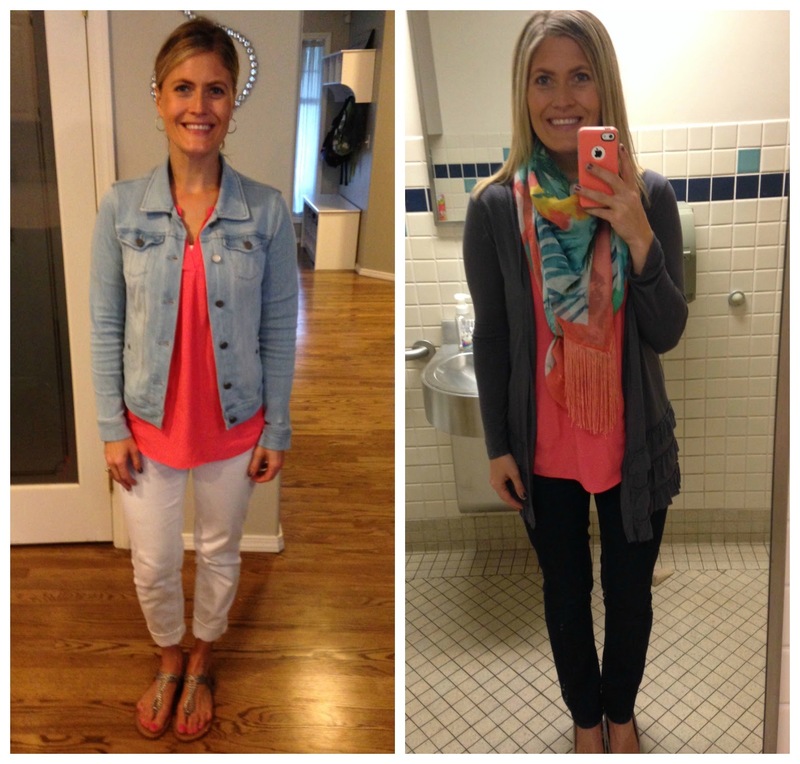 Here are my last 5 outfits.....I skipped two because of a baby shower and a day where I didn't get out of my sweats. Whoops! I will be re-wearing some of the outfits later, and I still felt like I learned a lot! I love florals. They remind me of my grandma and I LOVE that they are coming back in style. Gold jewelry is hands down my favorite. Scarves can be worn in warm weather...and I even found a new way to tie my scarf! You can never have too many cardigans. A simple black & jean look is easy and classy. A go-to when I can't find anything else in my closet. Statement earrings are awesome. Especially when you find them for $2.88. I'm already looking forward to the summer challenge coming up in June. I'll be posting a link to register, so if you've been thinking about joining in, just DO IT! There were a handful of you blog readers in the group this time aroumd and it was so fun to have familiar faces be a part of the challenge. Stay tuned for that! What looks are you loving for this time of year? Share your spring fashion tips with me!! We all need those days were we stay in our sweats! All of these outfits are super cute! My favorite is the coral top and white jeans and the floral tunic and leggings! You knocked it out of the park girl! All adorable outfits. I am loving floral this year too and honestly was shocked to find I had a ton of it in my closet and never really realized it! I started wearing gold jewelry again about 3 years ago and realized quickly how much I love it!